We were recently approached to create a proposal for the law firm Givens Pursley in Boise, Idaho. They were working with J Crist Art Services to select an artist to design and install a custom artwork for a lobby in their historic art deco building. We sketched up a number of concepts for the space, and also fabricated a work sample to show our proposal in a tangible way. We were pleased to be offered the commission. The Black Cliffs, a remarkable geographic formation towering over both sides of the Boise River just north of downtown, inspired the aesthetic of the artwork. These columnar basalt cliffs illuminate as the sun rises over the mountain range, and descend into shadows as the sun sets over the Snake River Plain, creating a contrasting palette of warm and cool colors throughout much of the day. The wall where the art was to be installed is concave, and so we took measurements and made a template, producing a final design that was made to follow the curve of the wall, so that the art would flow with the contours of the room. Breaking up the sheer precipice composition into five sections created visual interest, but also offered us some flexibility for a simple install. 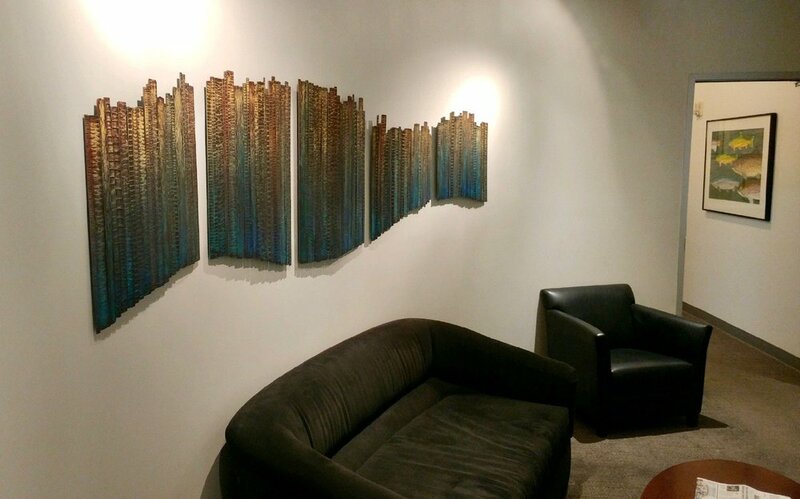 The four 6’ 4” wide segments in this wall piece come together to depict a quiet expanse of horizon in the pastoral Ohio countryside. The landscape is composed of hundreds of medallions; each one forged and painted by hand, linked together to create a gentle, rolling backdrop for a bustling hospital corridor. Mount Carmel is a brand new state-of-the-art healthcare facility built from the ground up. This $355 million dollar, 500,000-square-foot, 210-room hospital in Grove City, Ohio was built to replace the outdated 130-year-old hospital in Franklinton. As part of the Trinity Health System, a national Catholic system of hospitals, it’s important for them to have artwork that expresses their religious foundation. If you look closely, you can seek and find engraved icons exemplifying the parables; simple stories used to illustrate moral or spiritual lessons, as seen here (left) in a detail image of the artwork. These engravings integrate spiritual elements, and also offer a fun way for people to interact with the artwork. Art in the healing environment provides a special purposefulness. It beautifies spaces, inspires calmness, and aims to kindle meaningful reflections within its viewers, but it also creates memorable moments that serve as way-finding guideposts within large or complex spaces. A corridor just outside of a dining hall was selected as the location for the piece. The wall where the art was to be installed is convex, and so we worked with the construction manager to take measurements and make a template, producing a final design that was made to follow the curve of the wall, so that the art would conform to the contours of the space. We worked with our own engineers to certify plans for artwork design and installation. Our team built custom shipping crates to transport the artwork from Idaho to Ohio and we flew in to receive the shipment and complete the two-day install. 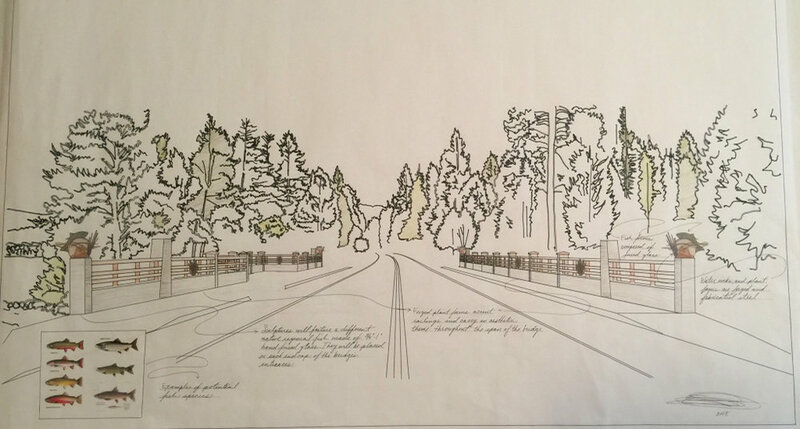 The City of McCall and the McCall Arts and Humanities Council have partnered with Madacsi Studios to commission public artwork for the newly re-built Lardo Bridge that spans the outlet of beautiful Payette Lake. A gateway to the community core and adjacent to one of the city’s scenic lakefront public parks, the Idaho state highway bridge was originally built in 1931 and replaced in 2015, designed and engineered specifically to accommodate public art. This project was made possible in part by a grant from the National Endowment for the Arts Our Town program and so we are working closely with the City to engage the McCall community in the design process through public outreach, workshops for students, and educational presentations with the intent of infusing into the artwork an expression of the community’s relationship with Payette Lake. We've developed two proposals (above), each inspired by Payette Lake, embodied by themes of water and environment, bringing environmental stewardship into focus as well as the lake’s role as the community’s primary drinking water source, core of tourism economy, and ecologic health (such as water quality, fish and wildlife habitat). The McCall community has been invited to participate in the selection process by making comments and recommendations, giving collective direction to the City’s selection of the final proposal which will be installed in early 2019. Public art infuses communal spaces with unexpected connections—creating memorable moments, a sense of place. Inviting the public to be involved the design processes is the best way to take the pulse of a community, and as part of our outreach we've held public meetings and online surveys to discuss the importance of public art in communities, and what the people of McCall believe artwork for the Lardo Bridge should express. Local students had the opportunity to participate in a blacksmithing workshop where they tried out their metal working skills and then created sketches to share their own ideas about what artwork for Lardo Bridge should illustrate. Fish, water, and nature have all been common threads thorough the conversations that we've had and feedback we've gathered. By learning who the people are and what they value about where they live, we can create and customize designs which reflect that quality of life and those individual values. 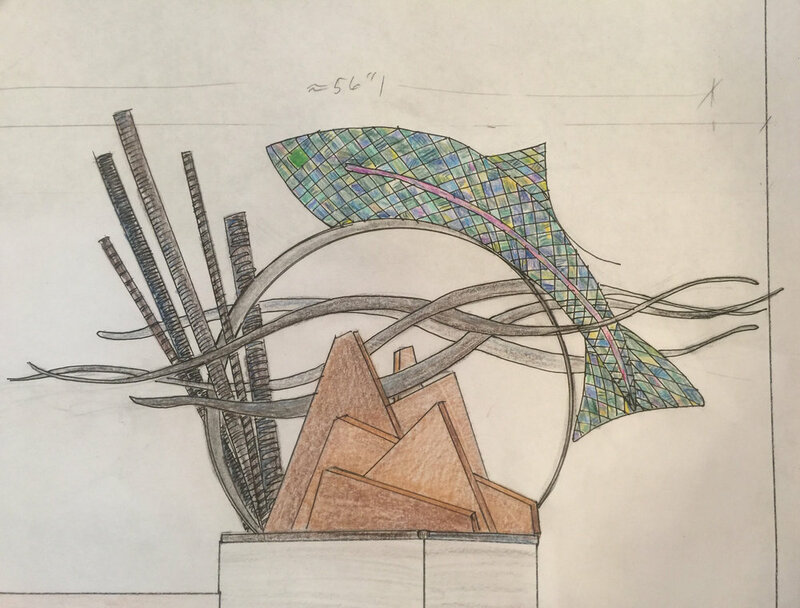 This summer I was invited to design and install outdoor sculptures in a contemporary Garden City neighborhood. The project was in collaboration with Neighborhood Works Boise, a national non-profit organization whose mission is to lead in creating innovative housing solutions that contribute to building stronger communities. I wanted to create a unique artwork that integrated nicely within the pocket neighborhood located on North Adams Street. Something that worked well with the landscape and also offered a sense of place in the community. I felt it was important to honor the historical contribution of the Chinese community who made Garden City their home during the mining boom in Idaho in the late 1800s. Garden City was named for gardens raised by Chinese immigrants who lived in the area. The stylized red butterflies are a traditional craft of the Chinese. Butterflies, flowers and other natural forms were cut and hung in windows and doors to symbolize happiness and luck. The other stylized forms represent wind and air. We Bought a Building!.....And are now part of Garden City's Live Work Create District. We will be open this Friday for the First Friday event. Madacsi Studios is now located at: 108 East 38th Street in Garden City. It's an easy location to find on the corner of Osage and 38th. Also included in the open house are painters Erin Cunningham and April Vandegrift, who have been part of our studio space for 3 years. 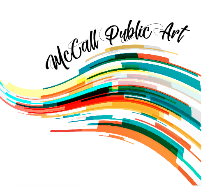 A new season begins in the Surel Mitchell Live Work Create District in Garden City featuring over 20 venues and more artists from the Riverside Hotel to a collection of artists in the Midtown Business Park on 37th Street. Venues also include Door #3, Garden City Projects, Cadillac Matt's, Push and Pour, Corridor Surf Shop, Studio 1212, Studio 3041, The Visual Arts Collective, the Waterfront District Community Center, the Yardarm, and Zion Warne Glass. The Riverside Hotel and Urban Land Development are sponsoring a shuttle from 6:00pm - 9:00pm which will run in a continuous circuit to all the different venues! First Friday is supported in part by First Interstate Bank, the City of Garden City, and Urban Land Development. 2018 Dates are: April 6th, June 1st, August 3rd, Oct 5th, and Dec 7th. The 2017 CODAmagazine Video Awards jury has selected our project, Stewardship of the Creation, a short film about Healing Art featuring our recent feature wall commission for Saint Alphonsus Medical Center, as one of this yearâ€™s best! The newest issue of CODAmagazine, Video II is live and ready to be browsed. This special issue features creative design + art documentary shorts that highlight commissions where art is successfully integrated into interior, architectural, and public spaces. CODA has partnered with Hotel RL to get these videos even more exposure beyond this magazine. They will showcase the videos in both the lobbies and rooms of all their U.S. properties through The Living Stage program! What the heck is a Cyanobacteria? Recently I've been working with new color palettes inspired by H2O and science. Nature has many ways of charging pigments into fluid bodies. Cyanobacteria is found in almost all water habitats and was a major catalyst in creating the oxygen rich atmosphere that we thrive in. The Encyclopedia Britannica defines Cyanobacteria as to contain only one form of chlorophyll, a green pigment. In addition, they contain various yellowish carotenoids, the blue pigment phycobilin, and, in some species, the red pigment phycoerythrin. The combination of phycobilin and chlorophyll produces the characteristic blue-green colour from which these organisms derive their popular name, Blue-Green Algae. These wall works are approximately 16" in diameter and are forged and fabricated from steel. They can be scaled up or combined in various sizes to compose a grouping for a feature wall. They are finished with aerosol enamel paints and wax.